Bruce busy polishing one of his many artworks. Big Stone Advancing Arts is a Minnesota nonprofit corporation that specializes in supporting many different creative art ideas that serve the community. The nonprofit organization was created by Bruce Stillman in 2012. Bruce started designing his first creations at the age of 16. Since then he has dedicated his life to the arts. He uses his knowledge to bring positive creative art experiences to the community. 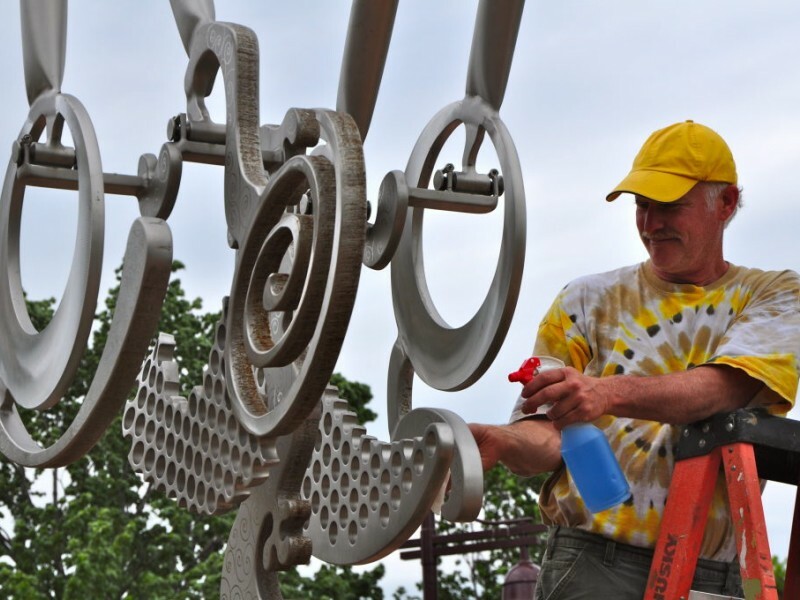 Bruce serves as the director of Big Stone Advancing Arts and is the producer of Big Stone Sculpture Gardens. Big Stone Advancing Arts largest program is its long term partnership with Big Stone Mini Golf and Sculpture Garden, located in Minnetrista, MN. Big Stone Advancing Arts also supports other programs that bring sculptures to many communities for display. We also provide a variety of educational art programs.